Facebook has staggeringly improved the features of Instagram to enable it to compete it with the best photo sharing App, the Snapchat. Although, putting a name in comparison with Snapchat is itself a big achievement but Instagram is rapidly enhancing its users and business day by day. 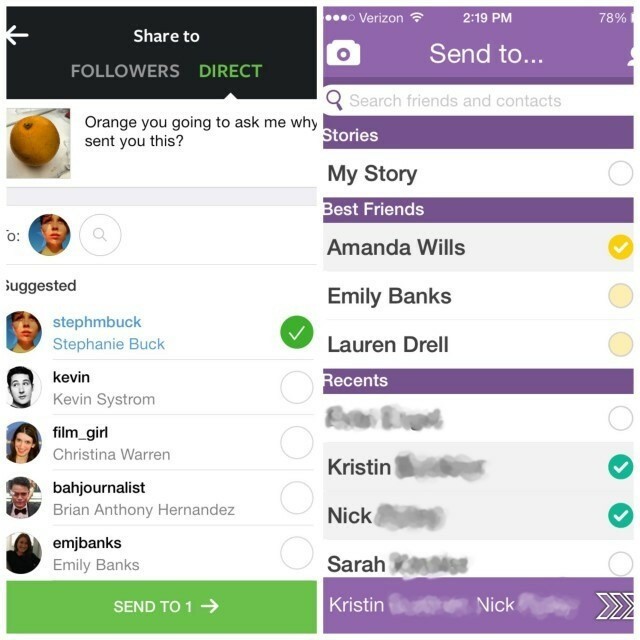 The latest feature of “Instagram Direct” that allows sharing of photos and videos to selected people only, make the competition between Instagram and Snapchat even more intriguing. Facebook offered $3 billion to Snapchat last month but it denied. Facebook had to spend just $1 billion to put Instagram very close in comparison to Snapchat. 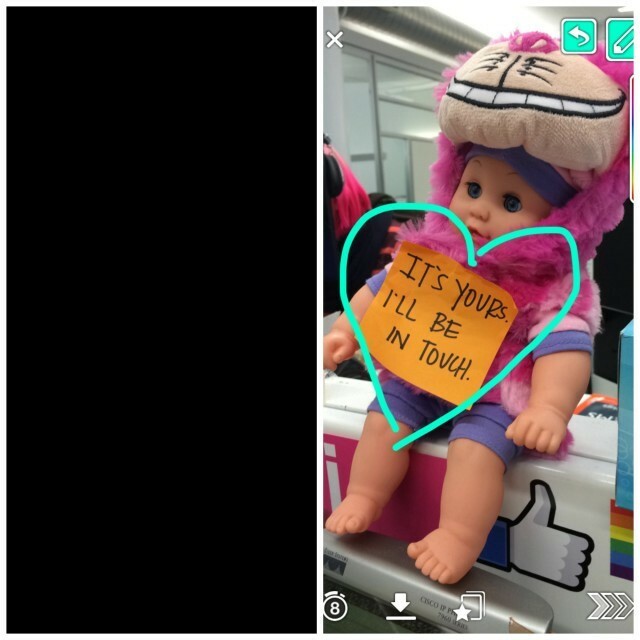 The two photos and videos sharing Apps are very much similar in their operation as obvious from the following comparisons. 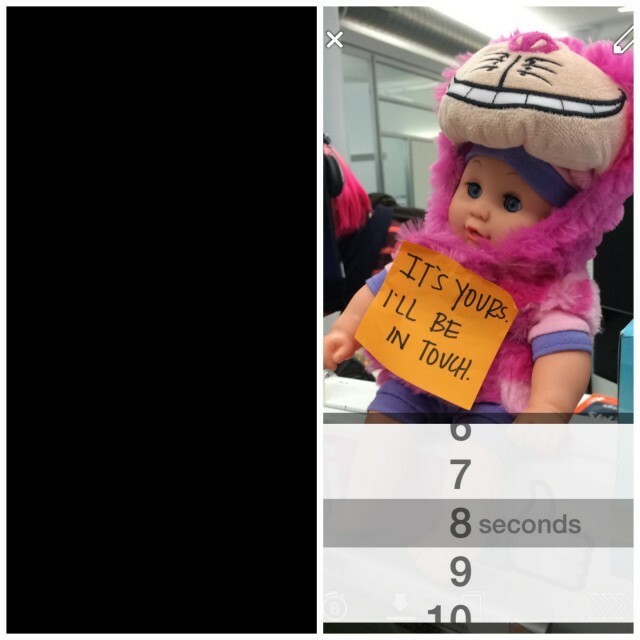 Instagram images will be shown on the left of the pictures while Snapchat images will be shown on the right side of the images presented in comparison below. Both Apps can take photos and videos, but Instagram provided option to upload videos and photos from mobile’s own memory whereas Snapchat doesn’t have this feature. 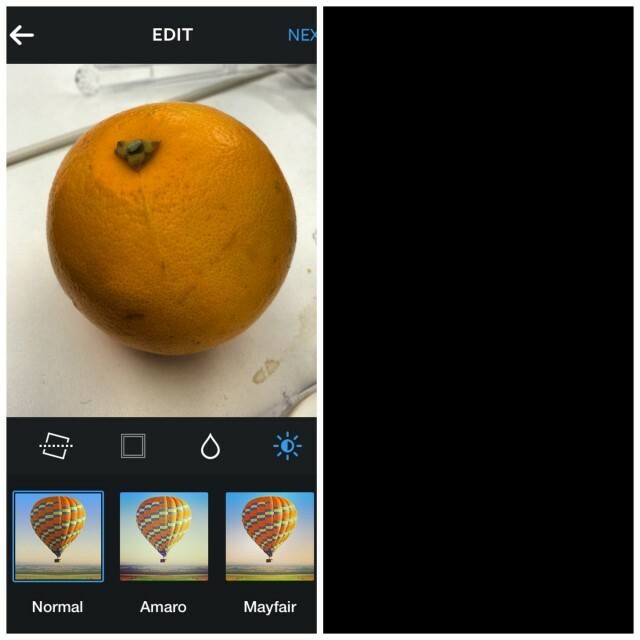 Instagram provides option for filtering the pictures before uploading them. Desired filters allow you to change coloring and lighting features. Snapchat doesn’t have this feature. Snapchat offers the interesting feature of adding custom drawings to the images and videos shared on it. The color palette is available that allows adding interesting drawings. Instagram doesn’t provide this feature. 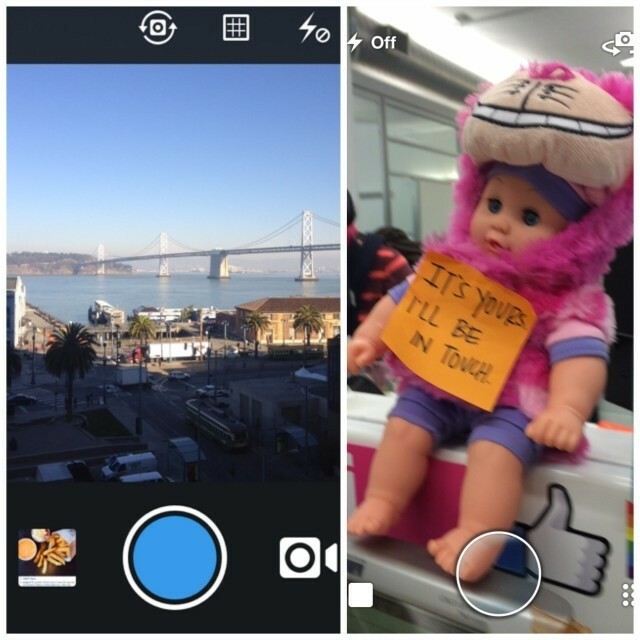 Snapchat offers the feature of sharing videos and photos for a particular period of time after which it disappears. Timer is provided with value of time can be set from 1 to 10 seconds. 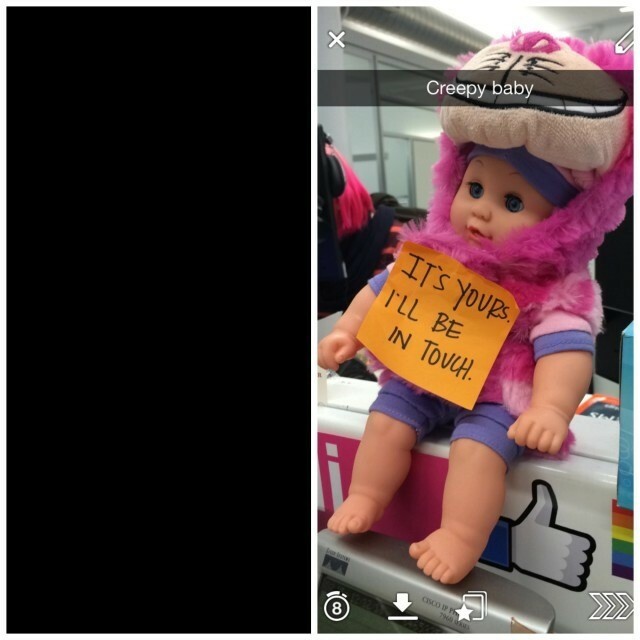 If Snapchat users want to show their photos and videos publicly, they can add them into Snapchat story that will be visible to other for a day. Instagram doesn’t provide this feature. In addition to adding drawing tools to the images, there is option for adding texts to label the things shared by you. Instagram users don’t have that leverage of writing on the image. They can only comment below it. Both these Apps are equally useful in sending videos and photos to the users directly. Instagram has the option of adding at the most 15 people group for sharing content whereas Snapchat has no such restriction. 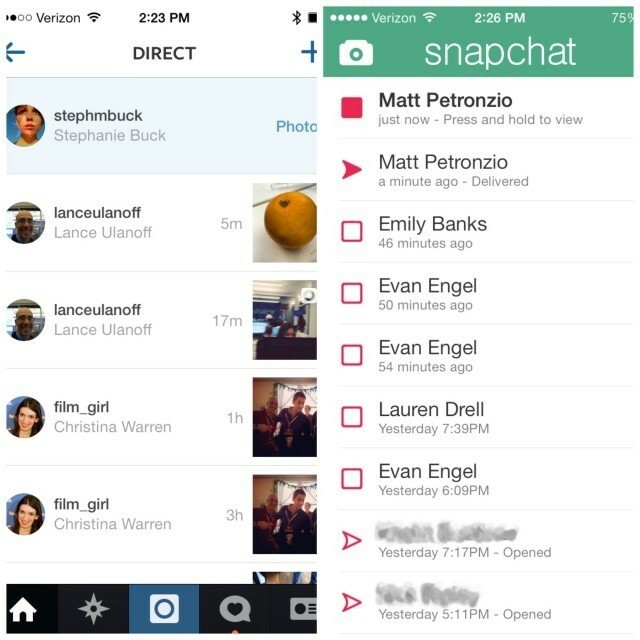 However, the content uploaded through Snapchat disappears soon which is not feasible for long conversations. Both these Apps provide option for receiving images and videos. Instagram has a separate inbox for receiving content. In addition to that, there are various other grounds for comparison and it is very much obvious that they are almost equivalent now with Snapchat slightly ahead.